Brent Echols is currently pursuing a Master of Music degree in Wind Conducting at Michigan State University. Before attending MSU for graduate study, Echols was the Percussion Director and Assistant Band Director at Robert E. Lee High School in Tyler, Texas, and most recently served as Director of Bands at Plantation High School in Plantation, Florida. During his time in the public high schools, Echols taught percussion ensemble, marching band, concert band, and chamber wind ensemble. 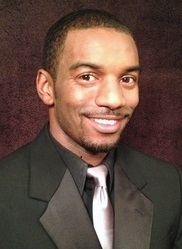 Echols originally hails from Troy, Illinois, and graduated with his Bachelor of Music Education degree from Michigan State University in 2013.